At the office of Mager A Varnado Jr., Attorney at Law, we understand the difficult situation you are in. We have more than 40 years of experience helping people like you get the financial compensation you need for a better life in Mississippi and surounding areas. 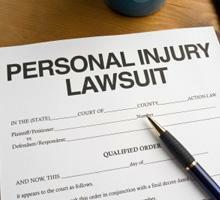 Many people who need disability or workers' compensation payments are initially denied. Do not lose hope. Call 228-863-1226 or contact us online to schedule a free consultation with an experienced lawyer. Social Security Disability Insurance – For individuals who have worked a sufficient period of time to be insured, SSDI benefits can make up lost wages due to disabilities. Supplemental Security Income – When you do not make enough money to cover necessities, SSI can provide disability benefits to keep you afloat even if you do not have a work history. Obtaining SSI payments can also make you eligible for Medicare programs. Private long-term disability insurance – Even though you have paid your premiums, your long-term disability (LTD) company may deny your claim for benefits. We can help you complete the insurance requirements and pursue all of your options to get the compensation you are entitled to. Widow or widower disability – If you are disabled and your spouse has passed away, you may qualify for this form of disability. We understand the complex medical issues involved in providing disability and obtaining benefits. Together, we can obtain the payments you need. If you were hurt on the job, you are likely struggling to make ends meet. Maybe your employer fired you because you could no longer work. Perhaps they did file your workers' comp claim, but the insurance company is dragging their feet about paying you. Whatever situation you are in, we will help you obtain the state workers' compensation that you deserve. We know that you are going through a rough time right now. For the past four decades, we have pursued personal injury, disability and workers' comp claims for clients throughout Mississippi and surrounding areas. Call 228-863-1226 or contact us online to schedule a free initial consultation at our Gulfport office.